Sounds great! I love learning through music. Awesome! I love love love love love the seeds albums. Thanks for a chance to win!! I hadn't heard of them before, but this sounds right up my son's alley! Thanks for the entry! Love this! We were just listening to Bullfrogs & Butterflies today - and, oh man, I would LOVE to have something more modern. I'm headed to check it out..but that sound right up our alley! Ooh, pick me pick me! My husband heard in a class once that the reason the Aryan heresy spread so far so quickly was because of the music it created. The music stuck in people's heads and spread the message. I grew up on scripture in song played on the record player (totally dating myself here) and still remember so many of the verses. It would be lovely to give my kids something a little more current. Am putting this on the Christmas list right now. What a great giveaway! I love Seeds, and we'd love another resource for all of us to encourage memorization! We could sure use that at our house! This would be awesome. We have the first CD and love it. I can't wait to get the next one! 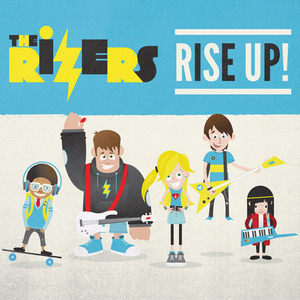 I'm a huge fan of SEEDS and have all of their cds, but I just heard of the Rizers a couple of weeks ago. I would LOVE to win and add them to our playlist! :) Thanks for the great giveaway! They sound great and the songs are so catchy! Thanks for the chance to win their new cd!